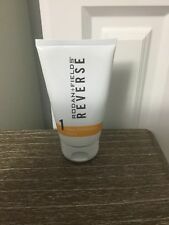 Rodan and Fields Reverse Deep Exfoliating Wash 4.2oz Tube Sealed New! Free Ship! Mild Peeling Gel help your skin to be soft and transparent by excellent Smart Targeting Peeling System. After a while, wash the dead skin and waste off with lukewarm water. All Skin Type. How to use. Easy to massage to ensure exfoliation. Cure Natural Aqua Gel (250g). Rinse with water and continue with daily skincare procedure. Incorporates with a variety of natural plant extracts, this exfoliating gel gently removes dead skin cells and opens pores. Peut se laver dans la machine a laver jusqu'a 40° . Exfoliate dead skin cells to reveal radiant and youthful skin. Compact and light-weight. 2 settings: “Low” for daily cleaning, High for exfoliation. Operation condition: Temperature 10-40’C (50-104’F), Humidity 30%-90%. BEAUTY FORMULAS FACE SCRUB CUCUMBER & AVOCADO. Beauty formulas cucumber and avocado facial scrub exfoliate and refresh for softer and more radiant skin for all skin types. We are based in Manchester. THE ORIGINAL AND THE BEST...ACCEPT NO OTHER...!!! The Refinery Face Scrub 100ml. Condition is New. Dispatched with Royal Mail 2nd Class. Black Soap, Savon Noir or Savon Beldi as known in Morocco. This based soap is rubbed into the wet and warm skin and left to perform it deep cleaning and skin softening action for between 5 and 10 minutes. New St. Ives Coconut & Coffee Scrub 6 Oz. Made with 100% natural exfoliants like walnut shell powder and coconut fruit extract, known to help repair the skin and leave it feeling super soft and smooth. Vast majority of the products will arrive anywhere between 4 to 7 weeks if not sooner. Acure, Brilliantly Brightening, Facial Scrub, 4 fl oz (118 ml). Paula's Choice Skin Perfecting 2% BHA Liquid Exfoliant. 1 oz/ 30 ml Travel Size x Lot 2 = 2 oz. Use Blackhead Clearing Green Tea Face Scrub when you want to clear blackheads & unclog your pores. - The Green tea leaves are carefully picked from China. Vast majority of the products will arrive anywhere between 4 to 7 weeks if not sooner. DEEPLY EXFOLIATES TO REVEAL SMOOTH, RADIANT SKIN. 150ml EACH. 2 X ST IVES FRESH SKIN APRICOT SCRUB. PARABEN FREE. MADE WITH 100% NATURAL EXFOLIANTS. INSTANTLY REVEALS SKINS NATURAL RADIANCE. EXFOLIATE & NOURISH. 150ml EACH. 2 X BEAUTY FORMULAS HONEY & ALMOND FACIAL SCRUB. LIRENE Clay Facial scrub Cleaning paste with bamboo, mint and orange. LIRENE Glinka Pasta myjaca z bambusem, mieta i pomarancza. Clay washing paste gently exfoliates dead skin, unclogs and narrows pores and removes excess sebum, leaving the skin smooth and brightened, without the feeling of tightness. 2 x WOODEN BRUSHES WITH NODULES. 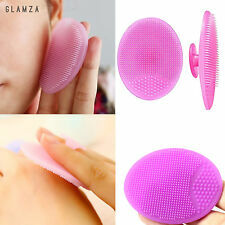 THIS MASSAGER CAN BE ALSO USED DRY BRUSHING THE BODY AND STIMULATES CONTRIBUTING TO HEALTHY SKIN TONE. CLEANS THE BODY PORES DEEPLY BY REMOVING DEAD CELLS FROM EPIDERMIS,INTENSIVELY SMOOTHES AND SOFTENS THE SKIN. Dampen hands and skin and apply a small amount of cleanser onto the face. Gently massage in circular motions and rinse with water. Honest Amish Traditional recipe Organic Soap. Best Mica beauty Vita-C Exfoliating Peeling Gel, 1 Fluid Ounce. PCA Daily Exfoliant 198.4g 7oz. PCA SKIN Gentle Exfoliant simplifies your daily routine. PCA SKIN Gentle Exfoliant refines skin to create a soft and smooth complexion. This face scrub removes dirt, oil, debris and makeup to keep your pores clean and healthy. From the Mary Kay Classic Basic Skin Care, Clarifying Mask is designed for blemish-prone skin. It clears excess surface oils, gently exfoliates skin and leaves the skin with a soft, matte finish. This is a genuine Mary Kay product. 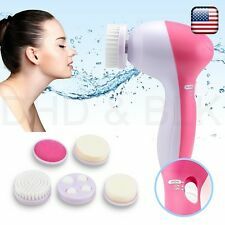 The exfoliating microdermabrasion Large Body Brush and Small Facial Brush prevents blemishes and unclogs pores from impurities that can lead to pimples, blackheads, and other skin issues. It reduces the appearance of your acne scars, leaving skin smooth and delicate. MICRODERMABRASION CRYSTALS: Microdermabrasion / Aluminium Oxide Crystals are used by Spas and dermatologists to help treat all kinds of skin issues such as Age spots, Acne, Wrinkles, Enlarged Pores, blackheads, whiteheads, fine lines or just a simple exfoliate. Swisse Manuka Honey Detoxifying Facial Mask is a naturally absorbent facial mask, luxuriously formulated to purify and detoxify the skin, while leaving it feeling smooth and hydrated. Ideal for congested and blemish prone skin. 2 x No7 Total Renewal Micro-dermabrasion Face Exfoliator 75ml Each BOXED. Condition is New. Dispatched with Royal Mail 2nd Class. Micro Cleanse Super Scrub 100ml. Alpha-H Micro Cleanse Super Scrub exfoliates the complexion gently yet effectively, utilising a cocktail of well-balanced ingredients to remove dead skin cells and add a radiant touch to the complexion effortlessly. Black Opal Hydrate & Protect Skin Moisturiser Spf 15 72 Ml . 2.4 Fl Oz. Condition is New. Shipped with USPS First Class Package. CODAGE PARIS. This breakthrough color-correcting cream never creases or cracks and instantly camouflages skin imperfections including dark spots. Plus, it’s infused with an advanced anti-aging serum made of hydrolyzed collagen, peptides, niacin, hyaluronic acid, antioxidants and vitamins A, B, C and E that work in harmony to diffuse the look of wrinkles, enhance skin brightness, minimize pores and give you a more radiant, supple and flawless-looking complexion. Acure sea kelp & french green clay brilliantly brightening facial scrub is a luxurious product designed to brighten, soften and detoxify your skin. Made with natural ingredients, acure brilliantly brightening facial scrub is gentle enough for regular use on all skin types. Particelle di lava vulcanica ed estratto di corteccia di salice completano la formulazione. Per una pelle lenita, levigata, pulita e luminosa. Modo d'uso: massaggiare una noce di prodotto sulla pelle del viso inumidita e risciacquare con acqua pulita. Phytopeel is a unique exfoliating cream as it A soft cream formula which exfoliates and smoothes the epidermis. Once or twice a week, apply a generous layer to the face and neck. Remove any excess using Aroma Cleanse Essential Tonifying Lotion. Lot of 5 M-61 PowerSpot Pads. See pictures for details. Allow the ingredients to be absorbed by the skin for about 30 seconds or longer, then rinse clean and follow with our Balancing Herbal Toner and Acne Eliminating Face Cream. 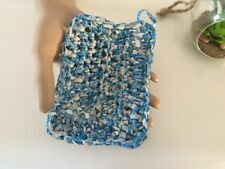 TreeActiv Exfoliating Acne Scrub Pads. The high-performance scrub contains 6% glycolic acid for a brighter complexion. NIP FAB Exfoliate. Super Strength Resurfacing Facial Polish. 6% glycolic acid : exfoliates the skin, boosts radiance resurfaces the skin. Move you Mini Facial Cleanser over each area for 20 seconds. Start with the forehead, then nose, chin and finishing with each cheek. 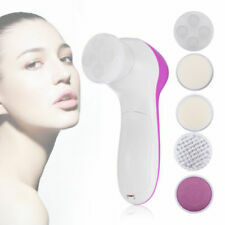 ► Mini Facial Cleanser Unit. Dampen you face with warm water. Apply your chosen cleansing product either to the brush head or your skin. The ultimate blackhead buster, Shills is specially formulated to unblock clogged pores by peeling blackheads, dirt and spot-causing bacteria away. SUN PROTECTION. View our Piz Buin range. View our SunSense range. St Ives Exfoliate And Nourish Coconut Oil Scrub 4.23 fl oz Skin Care 2 Pack!